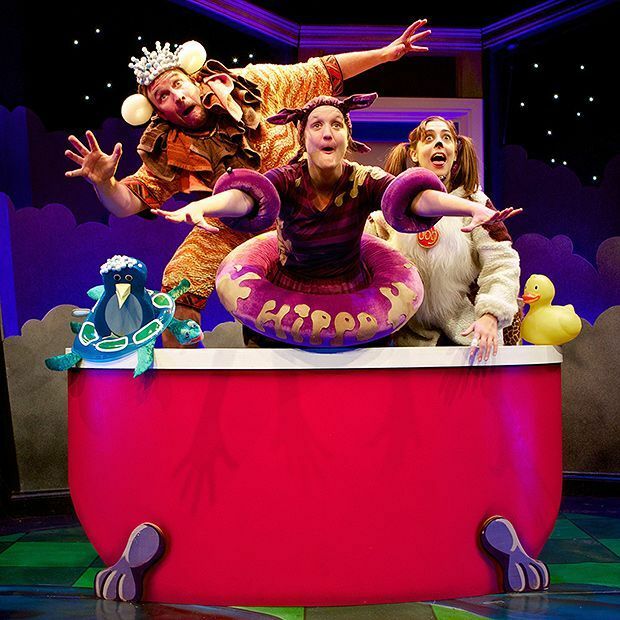 Full House Theatre has been devising family theatre for more than ten years, and this year it’s bringing illustrated children’s book Big Red Bath to the stage. Over the last decade, Julia Jarman and Adrian Reynolds’ book has become a modern classic with young readers, and was an obvious choice for adaptation. Pleasance Courtyard, 556 6550, (Big Red Bath) 3, 5, 7, 9, 12, 14, 16, 18, 20, 22, 24 Aug, 11am, £8--£10 (£7--£9). Preview 31 Jul, £6; (The Snow Dog) 2, 4, 6, 8, 10, 13, 15, 17, 19, 21, 23 Aug, 11am, £8--£10 (£7--£9). Previews 31 Jul & 1 Aug, £6. Come with us on a bubbly, barmy bath time adventure around the world and home again celebrating all things bath time.